The aromas and flavor notes of Chenin blanc often include the descriptors of minerally, greengage, angelica and honey. Chenin wines produced from noble rot will often have notes of peaches and honey that develop into barley sugar, marzipan and quince as they age. Dry or semi-sweet Chenin blanc from the Loire will often have notes apple, greengage and chalky minerals that develop into more honey, acacia and quince aromas. 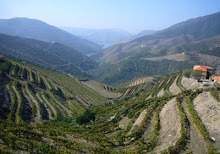 New World styles of Chenin, such as those of South Africa, are more often made to be consume young and exhibit rich tropical fruit notes such as banana, guava, pear and pineapple. The alcohol level for dessert styles Chenin rarely go above 12% which keeps the wines more in balance. Drier styles of Chenin are more likely to be around 13.5%. Simonsig Chenin Blanc. Starbright colour with a vibrant green tinge. Beautifully expressive sweet fruit aromas of yellow golden delicious apples, ripe pears and floral notes dominate the bouquet. A tropical fruit salad of melons, guavas and pineapples fill the plate. 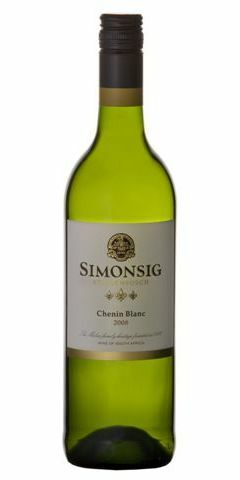 Sunripened Chenin has a subtle honey and raisin flavour which adds to the layered complexity and smooth silky texture on the finish. Kanu KCB (oaked). Bright lemon green colour. Apple blossom and beeswax with a nutmeg spice on the nose. On the palate dried apricot, ripe, juicy nectarine and a good oak balance. The mouth filling texture is cut by fresh green apple acidity, underpinned with honey richness and a long finish.